Megan Clodi of Mt. Vernon has been named 2015 Special Olympics Illinois Outstanding Coach of the Year. 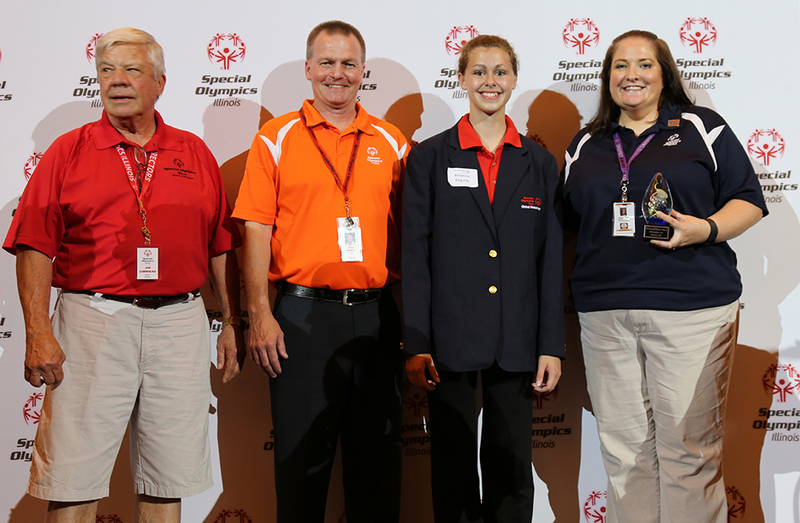 She was honored at a reception held June 12 before the Special Olympics Illinois Summer Games Opening Ceremony at Illinois State University in Normal. The Outstanding Coach Award recognizes the coach who best demonstrates the true ideals of coaching profession, who leads by example and expects athletes to set and strive to reach goals. As a coach of Special Olympics Illinois athletes, he or she must demonstrate both technical skills and personal commitment to the physical, social and psychological well-being of the athletes. For the past 15 years, Megan Clodi has dedicated her life to Special Olympics Illinois as a coach and advocate to the athletes. In addition to her career as a coach, Clodi advocates for individuals with differing abilities at Mt. Vernon Township High School. In 2014, Clodi was the only coach in Illinois to be nominated for the SONA Coach of the Year. Clodi’s dedication to Special Olympics Illinois has transformed the lives of so many, according to her nominators. She is known for looks at every opportunity for inclusion, health, fitness and integration into the community for all people with differing abilities. Within Special Olympics, Clodi is and Athletic Director, multi-sport coach, Project UNIFY advisor and state committee member, student volunteer coordinator, and USA and World Games Soccer Coach. 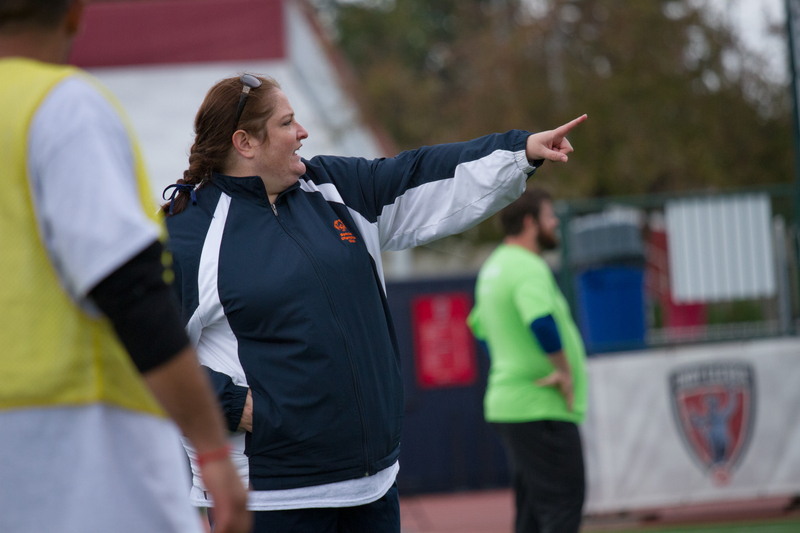 In 2015, Clodi will represent Illinois at the World Games in LA, as the Head Coach for Illinois’ soccer team. All of these roles that Megan has so willing taken on support why she is so deserving of Outstanding Coach of the Year Award. She tirelessly goes above and beyond to make a difference in the lives of so many athletes, say her nominators. Special Olympics Illinois is a not-for-profit organization offering year-round training and competition in 19 sports for nearly 22,000 athletes with intellectual disabilities and nearly 21,000 Young Athletes ages 2-7 with and without intellectual disabilities. Special Olympics transforms the lives of people with intellectual disabilities, allowing them to realize their full potential in sports and in life. Special Olympics programs enhance physical fitness, motor skills, self-confidence, social skills, and encourage family and community support. If you are interested in learning more about Special Olympics Illinois, volunteering, or providing financial support to help make Special Olympics programs possible, contact your local Special Olympics agency, call 800-394-0562 or visit our website at www.soill.org.